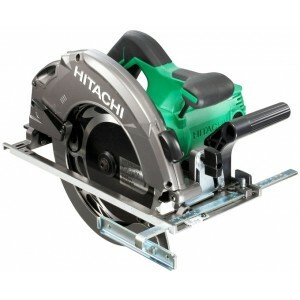 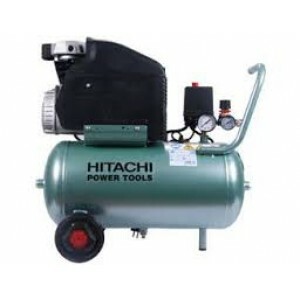 Hitachi EC68 Electric Air Compressor 1.5HP 24ltrHitachi EC68 - AIR COMPRESSOR from HITACHI (Japan), is equipped with far-reaching the receiver at 24 liters and makes it possible to produce an output pressure of 0-8 bar connecting a light air to..
Ferm CRM1041 Air Compressor 1.5HP 6LtrFeatures:Powerful pump, less than 2 minutes to fill the tank to maximum pressure Multi use, pressure adjustment from 0-8 bar Silent direct drive induction motor for long life span Oil-Free ..
Ferm CRM1042 Air Compressor Features:Powerful pump, less than 2 minutes to fill the tank to maximum pressure Multi use, pressure adjustment from 0-8 bar Silent direct drive induction motor for long life span 2 universal 1/4” q..
Ferm CRM1039 Air Compressor Features:Powerful pump, less than 2 minutes to fill the tank to maximum pressure Multi use, pressure adjustment from 0-8 bar Silent direct drive induction motor for long life span 2 universal 1/4” q.. 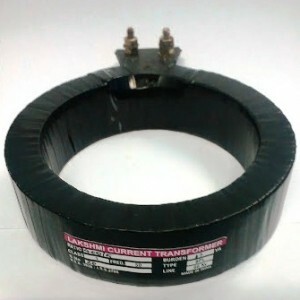 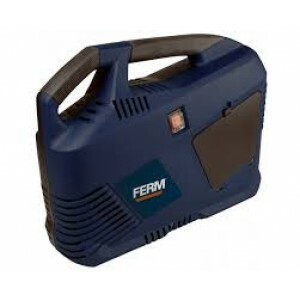 Compact and portable model . 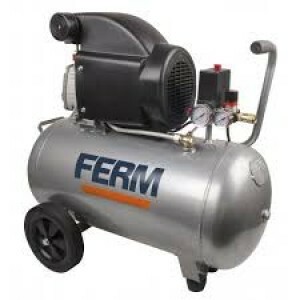 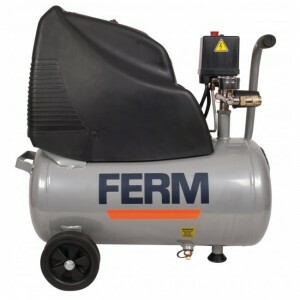 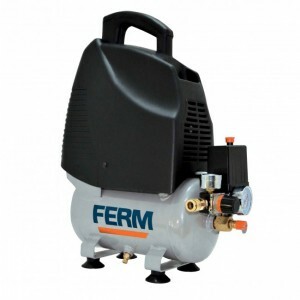 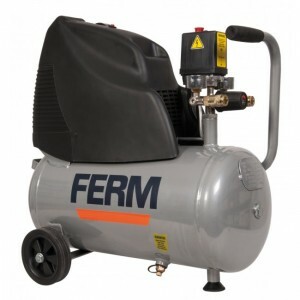 Easy to carry for mobile service.Oil free and therefore maintenance free and easy to transport.With universal quick couplers for quick coupling and uncoupling air hoses .With 3 meter air hose, with quick couplings as well..
Ferm CRM1046 Air Compressor - Features:Powerful pump, less than 2 minutes to fill the tank to maximum pressure Multi use, pressure adjustment from 0-8 bar Silent direct drive induction motor for long life span With manometers f..